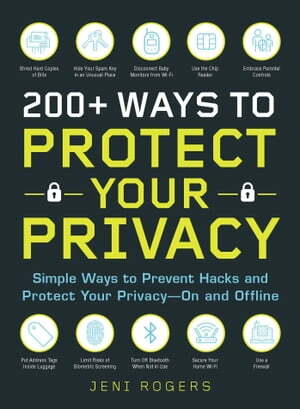 Collins Booksellers - 200+ Ways to Protect Your Privacy by Jeni Rogers, 9781721400133. Buy this book online. Discover simple strategies for protecting your personal and confidential information on and offline with this essential and easy-to-understand guide. Keeping your information secure lies in your hands—make sure you’re not putting yourself at risk in your daily habits with this essential guide.